When I was in grade 6, I told my parents I wanted to be a gynecologist. Yep, sitting in the middle of the two of them in the FRONT seat (that isn’t even legal anymore), I stated, point blank, “I’m going to be a gynecologist”. My Mom was curious, “do you know what I gynecologist is”? Indeed, I did, as I had been studying reproduction and my, very astute, health teacher explained the importance of a professional who would deliver babies and care, specifically, for women throughout all stages of their life. It was perfect for me. I was in awe of the female reproductive system. I was mesmerized by the fact that a human body could form another human body within it. The thought that I could spend the rest of my life learning more about this miracle made my 6th grade decision unequivocal- the choice was clear. I was going to be a gynecologist, no matter what it took. But what would it take? I had no idea. I only really knew one doctor, my friend’s Dad, and I started picking his brain with a fervor that likely exhausted him. I remember he would give me his used medical journals and I enjoyed pretending I understood what they contained. It should have been telling that he discouraged his 4 children from a career in medicine, but I was young, enthusiastic and infallible. The day I was accepted into medical school was the happiest day of my life up until that point. I naively thought the rest was going to be easy. 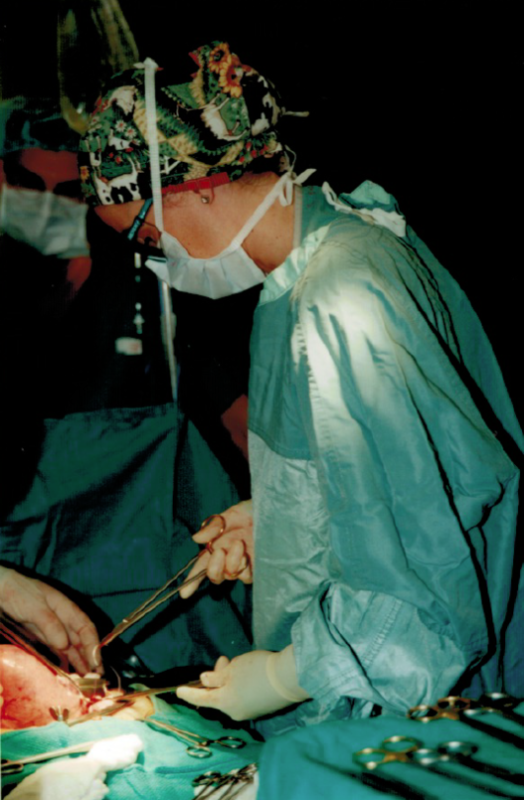 Fast forward 23 years, 1 husband, 3 children, 1 dog and a medical license in 2 countries (actually 3 if you count my short stint in Africa) and I’m still certain I made the right decision for me - I still LOVE gynecology and caring for the bodies and minds of women. But the “being a doctor” part is nothing like I expected it to be, especially in the United States. I thought I would be healing, caring, listening, supporting, protecting, advocating, learning, teaching and then healing some more. Little did I know, the very qualities that make a U.S. physician an excellent caregiver and healer are the same qualities that make us ineffective business people and really bad employees. We’ve been taught, nurtured, raised, even “bred”, to believe that if we look after people - the rest will take care of itself. But it doesn’t. And when we focus on keeping the business doors open - we leave the very people we care about, our patients, behind. Procedures pay well; face time does not. And when we look for reward in praise and incentives from administrators hired to pinch pennies, self-worth comes sharply into question. We have a choice to make between “room turns” and compassionate care. Between doing good for patients and being good for revenue. And, while I won’t waste time here debating the many ways the healthcare system is broken, I will spend every waking hour looking for and creating ways to continue to heal people - it’s what I know, it’s what I love to do and it’s what needs to be done. So, that is why I am bringing so much of the esteemed information, education and resources that I provide women and couples – directly to the very women and couples who need it. I’ve learned, the hard way, that there are more sustainable ways to reach the vast numbers of women so desperately in need of knowing they are not alone. I am pouring my healer’s heart into A Journey to Rediscover Intimacy so that I can be relieved of the sadness and guilt I feel when women ask me how they can feel young, vibrant, healthy and alive again after life has trampled them down and there are no office visits left. I see it every day. Women talk to me after presentations, inside workshops, in the mall, in the grocery store, at my kid’s activities, even in the last couple seconds of an office visit when there is no time left because they were too embarrassed to ask - and they tell me the can’t go on. They want life back. They are dying inside. My heart breaks for what society has done to us and how close, but far, true peace and happiness really is for each and every one of us. My doctor-side is infuriated that the healthcare system is leaving these women abandoned with nowhere to turn for the ear they need to borrow. As a wife and mother, I cry with them in empathy. It’s a hard road from self-sacrifice and martyrdom to self-actualization and freedom. It’s a minefield that requires deep introspection, strong boundaries, expansive soul-searching and a shoulder to cry on. It’s a highway of unstudied options, expensive unproven alternatives and unreliable tests. Worse yet, it lays bare a vulnerability that is easy to exploit. The healer in me breaks free of all the sadness, anger and guilt that I have known too well and believes there is still a way forward. There are women aching to learn to live again. The woman in me longs to lock arms with others and show them the way. The professional in me understands that not all therapies are created equal, bodies are not commodities and medicine was never intended to be a business. The visionary in me sets out on an isolated and lonely trek to blaze a trail; A trail that will provide guidance and light for ALL women who are ready for the fog to lift. The optimist in me perceives each life impacted as a pebble thrown into the water of the world, creating ripples of peace and harmony one tortured soul at a time. It’s my grandiose belief (and I’m not alone) that a content, empowered, self-confident woman, simply by impacting her own inner circle, will touch hundreds of lives, over millions of generations. If she is equipped to do so with love, compassion and strength – the magnified impact is unthinkable and creates, in me, a deep sigh of relief. Help is on the way. Women can heal our world. Ultimately, the time has come for us to believe in ourselves. To heal ourselves - not by ourselves or even for ourselves – but to believe that we are worth it. How I had the capacity, in my 6th grade brain, to comprehend the sheer power and beauty of being a woman and the reward that would come from serving other women, I will never know – but I’m glad I did! I wouldn’t want to be doing anything else with my life. And I’ll never stop looking for ways to reach into shadowy lives and offer a glimmer of hope when all seems lost. It remains as clear to me today as it did back then that healing women means healing our world, one broken, heavy heart at a time. A Journey to Rediscover Intimacy is only the first step into a beautiful, blooming garden of learning to Love Yourself, Love Your Life and Love Your Partner. Come smell the roses with me. My inner healer is now free!